GAME was finished in March 2005. Human life, agriculture, economics, and the entire ecosystem of the Asian region seriously depend upon the monsoon climate and its predictability. More than 60% of the earth's population live under the influence of this monsoon climate. Droughts and floods associated with the variability of rainfall frequently cause serious damage to ecosystems in these regions and, more importantly, injury and loss of human life. Seasonal forecasting of monsoon rainfall and the control of water resources have been a matter of great concern for the people and governments in these regions. As a part of the Global Energy and Water cycle EXperiment (GEWEX), the GEWEX Asian Monsoon Experiment (GAME) is being implemented to understand the role of the Asian monsoon in the global energy and water cycle and to improve the simulation and seasonal prediction of Asian monsoon patterns and regional water resources. The implementation of GAME was formally started in 1996. In the spring and summer of 1998, the intensive observations of the common Intensive Observation Period (IOP) will take place in cooperation with the South China Sea Monsoon EXperiment (SCSMEX). The GAME International Science Panel (GAME-ISP) and GAME International Project Office (GAME-IPO) have also been established. The main tasks of GAME-ISP is to promote and coordinate international as well as multi-national cooperation of regional experiments, IOP and data exchanges. 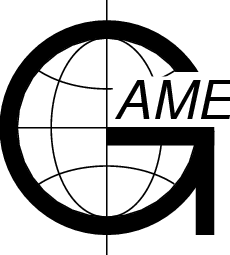 GAME-IPO supports the activity of GAME-ISP and controls the information and coordination related to the international activity of GAME. Phase II's concept is "cross-cutting"